It’s adoption time again! Bunnies love springtime and you will too when you cuddle with a selection of our delightful adoptable buns. The NM house rabbit volunteers will be in attendance for any questions about care and behavior, and as always, bring your bun and we’ll trim it’s nails for free. Donations too are always gladly received. Added bonus, if you do fall in love with a long (or short) eared fuzzball, you can pick up all required supplies in-store from our hosts at Petsmart! 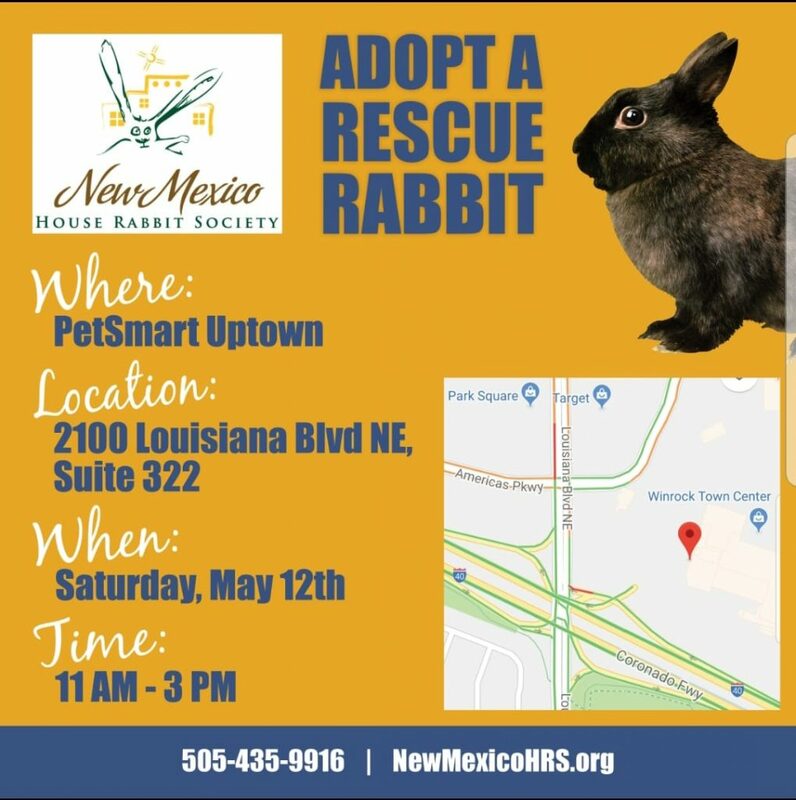 Bunny browsing commences at 11am and ends at 3pm at Petsmart Uptown, 2100 Louisiana Blvd NE Suite 322, Albuquerque, NM 87110.